Nurses are selfless. They give their complete hearts to care for others who are sick. Show your favorite nurse how much they mean to you by giving them this beautiful hand stamped necklace. Whenever they wear it, they will be proud to do what they do. 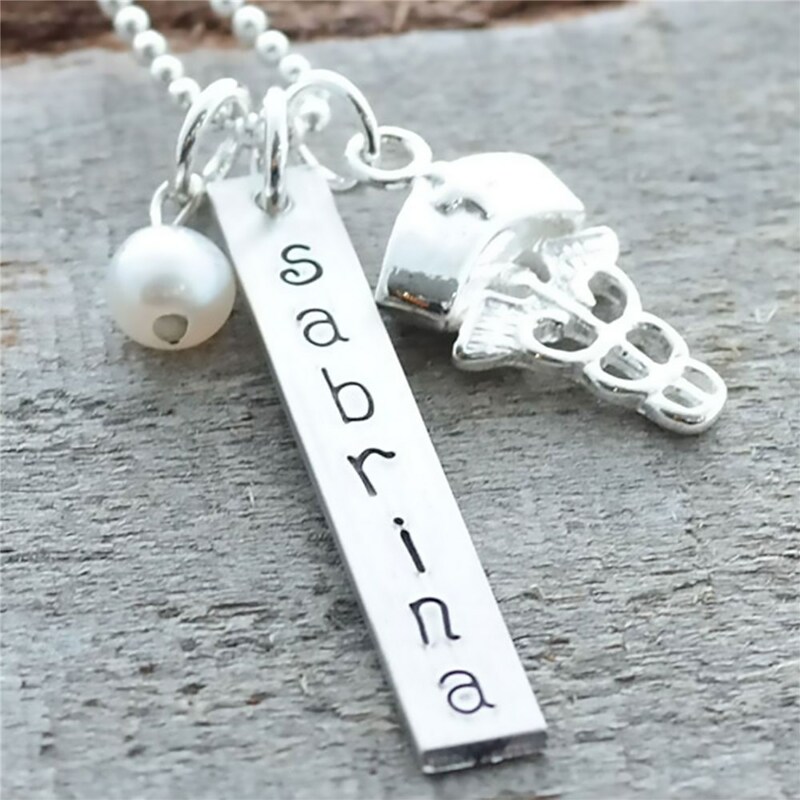 This nurse charm features a sterling silver bar that may be hand stamped with any name and features a freshwater pearl accent. Choose to display this nurse pendant from a sterling silver ball chain necklace of 16” or 18” in length. Free personalization is included. Choose Necklace Lenghth -Select- 16" 18"
Additional Details Giving a personalized gift to the nurse who has so impacted your life would be a sweet gesture. A necklace like this one will be one that she will wear with pride and will cherish forever. Please see our other nurse gifts for even more ways to thank her!